Unfortunately these one off deals have expired, but the good news is that there is an awesome DesignCuts marketplace with 20-50% off design resources. You can even bundle up items to save even more! DesignCuts has quickly become my favorite design deal site out there, simply because they pack so many quality resources into each bundle and at a huge saving of 80-95% off each time. For their birthday, they are re-releasing their most popular past deals, so this is a great chance to grab some insanely useful resources for a very discounted price. There are a large number of deals on their website but these would be my top 5 picks! 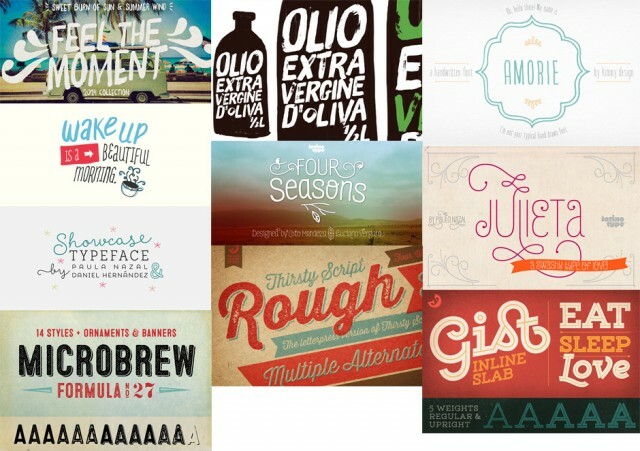 This font bundle includes 10 versatile creative fonts, many with a hand drawn or brush style. My favorite pick out of this bunch is MicroBrew which I’ve already found many great uses for. Each weight of MicroBrew is usually $19 each but you can get all 16 weights & ornaments for $29. Plus all the other 9 font families too! GoMedia were one of the early pioneers of releasing vector freebies & bundles, so I’ve used many of their resources before, can I can attest to their quality. 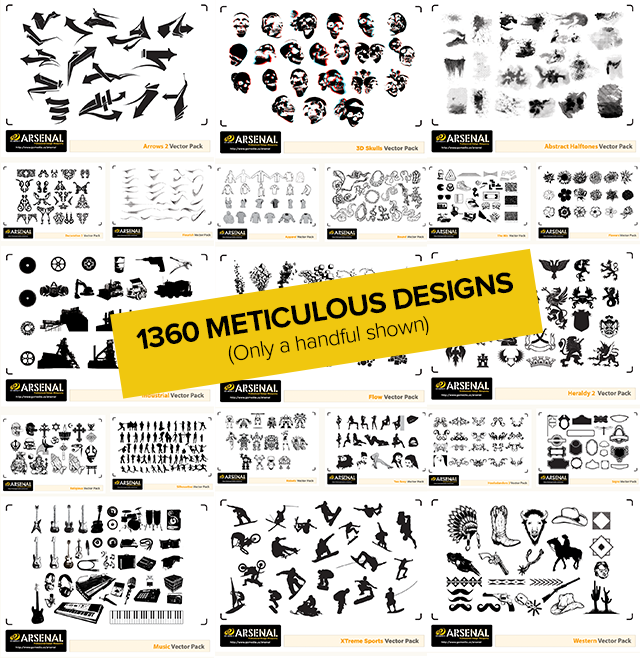 This pack DesignCuts is offering combines 49 of GoMedia’s Complete Vector Packs for $25 which is an amazing deal considering just one pack is usually $35. You will get everything from apparel, to textures, illustrations and everything in-between making it super handy for your next design project. Fonts can get pretty pricey these days so whenever I see a design bundle offering such a great range of high quality fonts (inc. web fonts), I grab them while I can. This pack was a welcome addition to my font library as I was lacking on the artistic and hand crafted style. As a bonus, this pack also includes additional icon & vector packs. 0 Response to "Design Resource Bundles at 80-95% off! | Chumbart™"